We want to improve the adhesion of the ink to the klaf, not reduce the adhesion. HaRav Kanievski Shlita was asked what is preferred, nice writing which can be easily damaged or not-so-nice writing which stays kosher longer? His answer, in his own hand-writing: That which stays. My policy has always been not to sell klaf mashuach(white coating) or klaf teimani(clear coating)due to the chatzitzah problem and also because they crack easily and its misleading to the consumer. That was my basic understanding as well. A number of very big sofrim use Mei Klaf without hesitation, and they write for some big Gedolim. So I am not going to believe that it is a problem until I see written piskey halakha on it. The question of חציצה certainly needs to be dealt with by the Rabbanim. The most difficult part would probably be defining the limits. A 1 mm thick layer is definitely חציצה . A 1 molecule thick layer is definitely not חציצה . So where is the borderline? and how do we measure it? 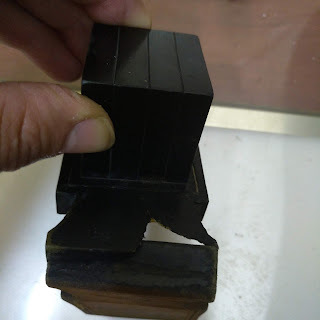 The question of damaging the adhesion strength of the ink to the klaf is, I think, much more serious. Too many cases have been publicized of ink rubbing off. R' Tzadok gave us one example. The sofer who checked 150 mezuzot at a bank and found the ink rubbing off is another example. And, there are many more. 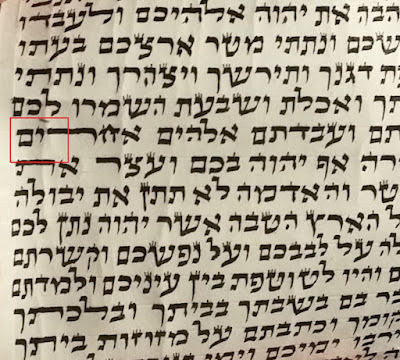 There is a famous sofer and teacher in Israel, his name is either אליהו כהן or יוסף כהן (don't remember) who wrote a few years ago that writing on mei-klaf always falls of faster than without mei-klaf. How many sofrim know what happens to their writing after a few years? In personal health and safety questions there is a hallachic limit of 1 in 1000. Not allowed to take an unnecessary risk if the risk is greater than 1 in 1000. The risk of writing on mei-klaf falling off is greater than 1 in 1000. Is it allowed? 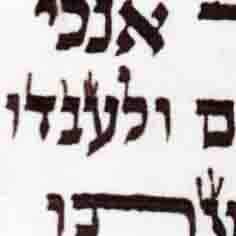 How about the Torah prohibition of לפני עור לא תתן מכשול ? Please produce a single written psak that says it is a chatzitza or even a problem. Especially as it does not meet the qualifications for being a chatzitzah, whereas chalk does. Leading sofrim say to use Mei Klaf, as do the poskim for the Mishmeret Stam, Mishmeret Sofrim, and Yad Rafael. So the typical way this sort of thing is handled in Judaism is that the dissenting opinion(that would be you) would produce a detailed psak and ask those other poskim to rule on it. Reb Michael, I think Zvi is more concerned about the adhesion problem than the chatzitzah problem. 1) I was def. told it is not a chatzitzah because it is absorbed into the klaf rather than sitting as a barrier like mashuach and temani. This makes sense. 2)Re adhesion, my understanding is that if used properly it should not reduce the life of the writing. I guess "used properly" means not using too much.